I love a good Cooking Light recipe as much as the next girl, especially when it is easy to throw together after a day away from my boys. 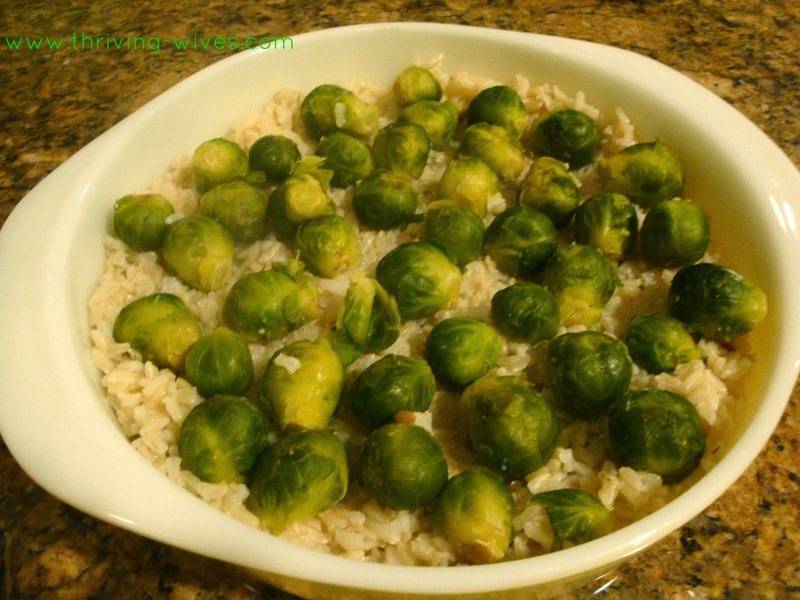 When I stumbled across this rice and veggie dish I thought I needed to give it a go so I could add it to my repertoire. As usual, I prepped my ingredients before hand so I would be ready to go as soon as I walked in the door. First, preheat your oven to 375. 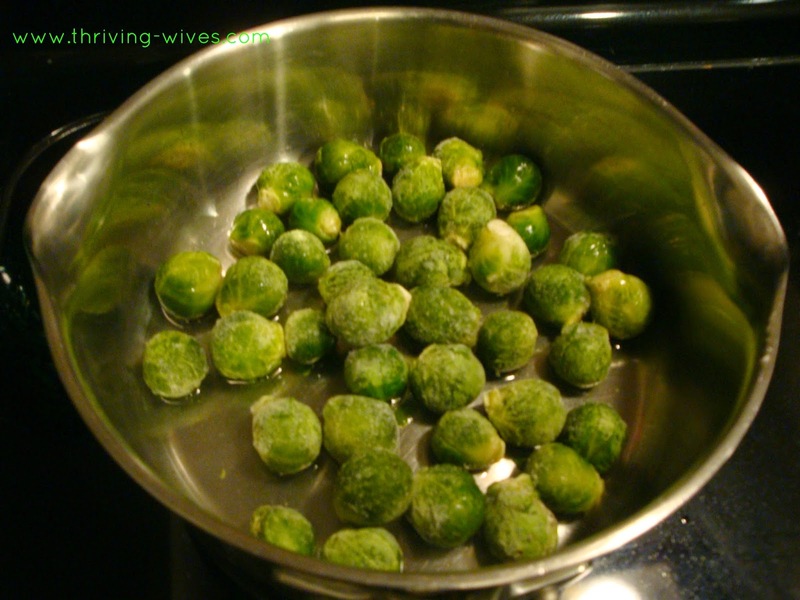 Combine the brussels sprouts and water in a medium saucepan and bring to a boil. 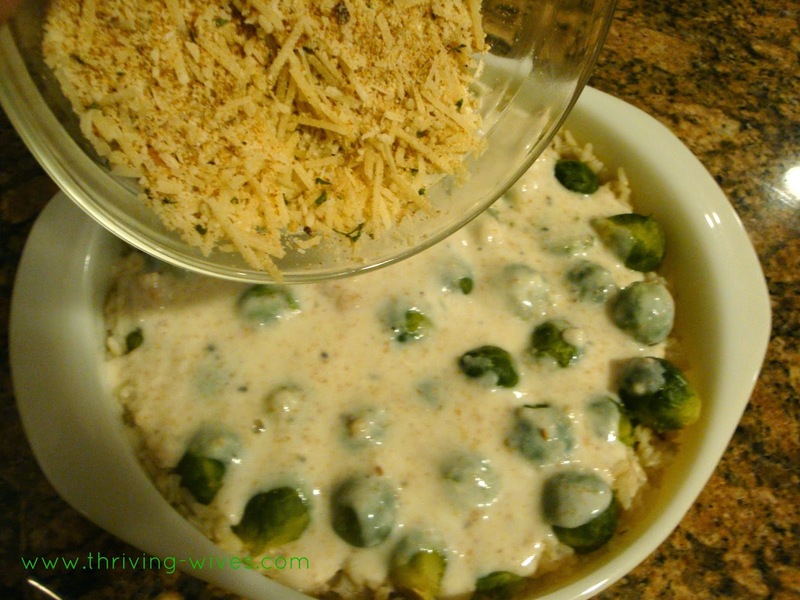 Then, reduce the heat and allow those green goodies to simmer for 5 minutes. Next, uncover, and cook for an additional minute before draining. 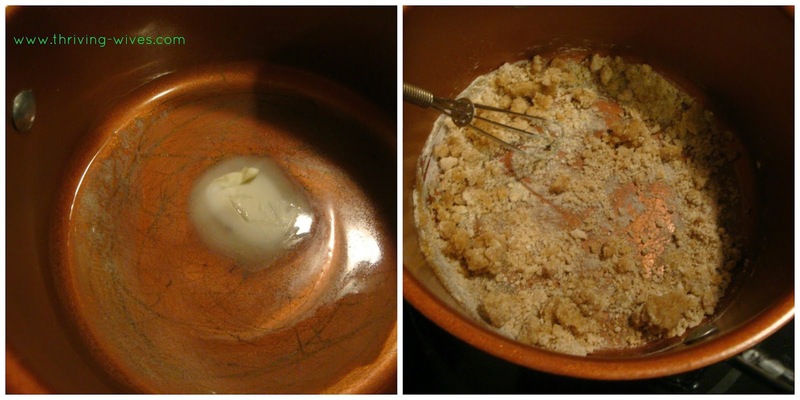 Melt the margarine in a small saucepan over low heat then add the flour, making sure to stir, stir, stir with a whisk. 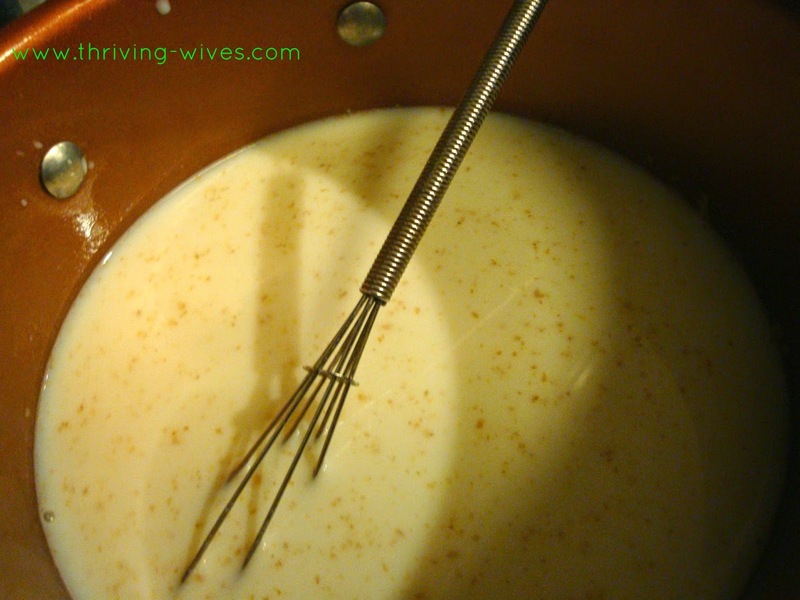 Gradually add in the milk and continue to stir. Bring to a boil, then reduce to medium heat and cook for 3 minutes or until thick and bubbly. Stir in the salt and pepper and set aside. With the sauce done, grab a 9 inch dish and coat with cooking spray. 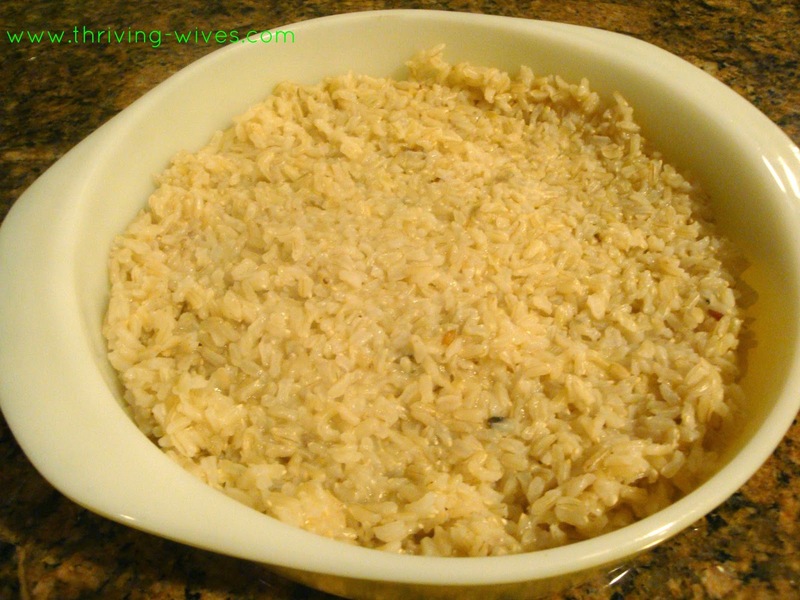 Pat the rice into the bottom of the dish, make it nice and cozy. 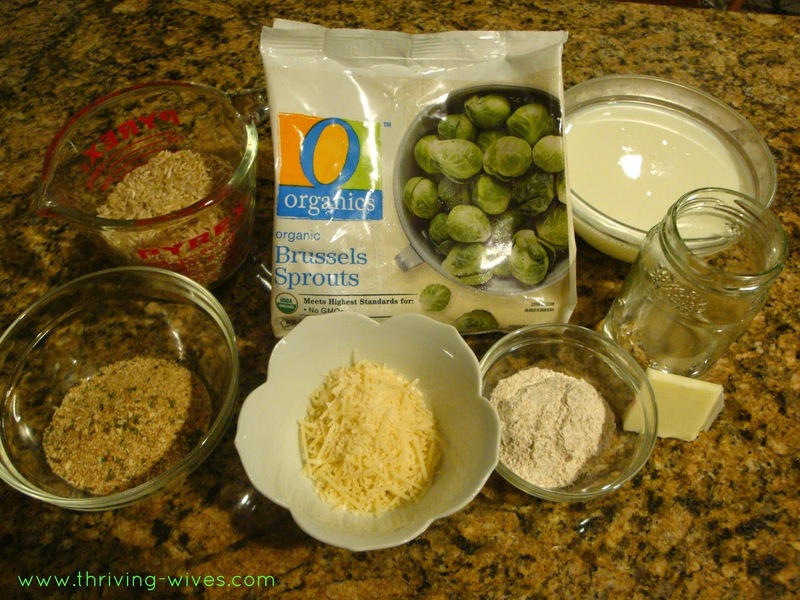 Grab those cooked brussels and arrange them evenly on top of the rice, (stems down if you want to get fancy). If you are opting to add meat into your recipe, now would be the time to sprinkle it on. 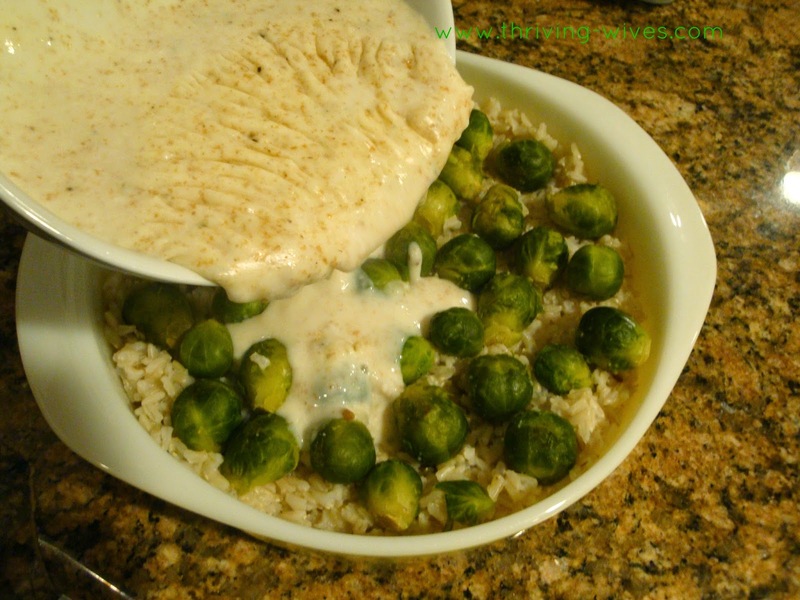 Pour your creamy sauce over the rice and brussels. 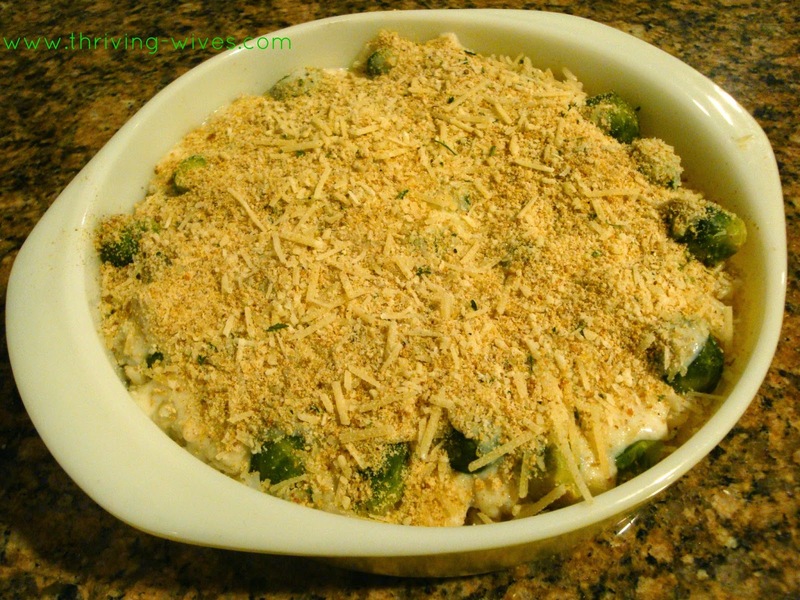 Combine the breadcrumbs and cheese in a separate bowl and sprinkle on top of the sauce. 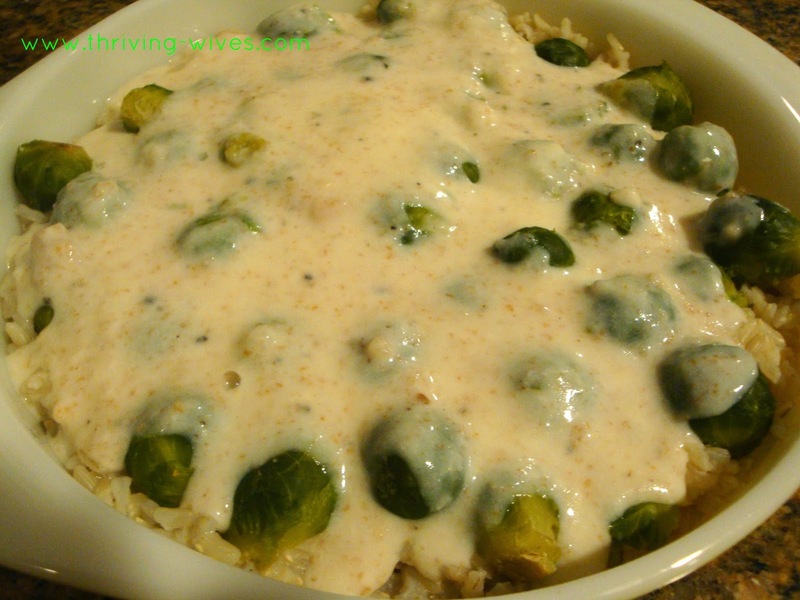 When covered, toss in the oven at 375 for 20 minutes or until lightly browned. Once you have a nice brown little topper, take out your casserole and let it cool for a few minutes before diving in. 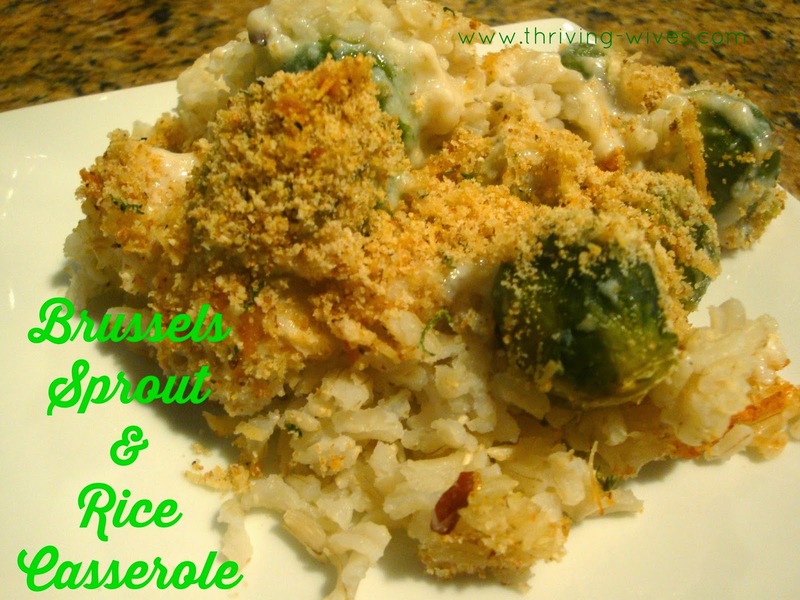 The rice holds in the moisture of the sauce perfectly and adds a rich balance to the soft, steamed brussels. The light crunch of the topping adds just enough taste/texture diversity to leave you wanting more. This dish was easy and well rounded. Served with additional vegetables or all on its own, it has everything a meal could need! 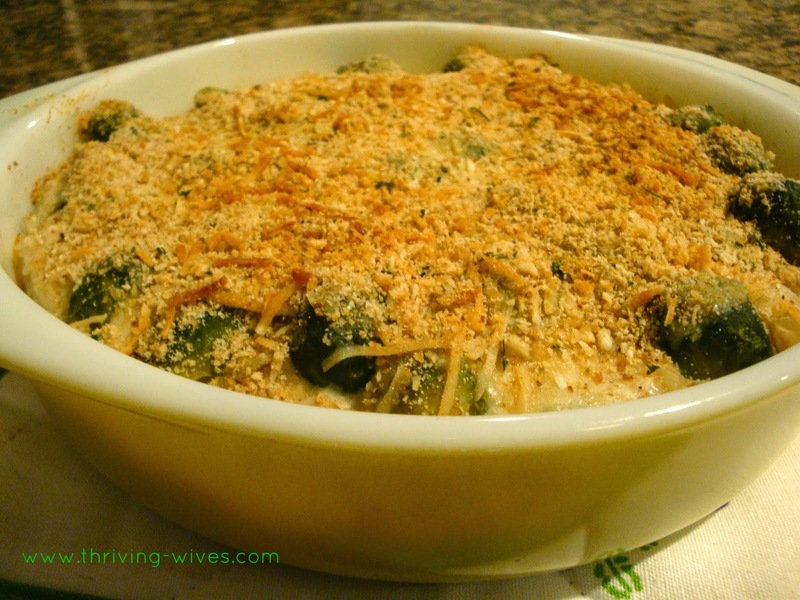 Are you a casserole loving mommy? Interested in prepping this over the weekend for an easy Monday night dinner?